Shawn holds a Bachelor’s degree in Education and a Master’s degree in Adult Education with a specialization in Corporate Development and Knowledge Management. He has over 20 years of experience in corporate training including facilitation, curriculum development, and leading a national training team. Shawn spent 17 years in the banking industry where he was responsible for training related to compliance, sales, and leadership development. Currently, in addition to training with ACHIEVE, he is the Director of Operations & Learning for St. John Ambulance. 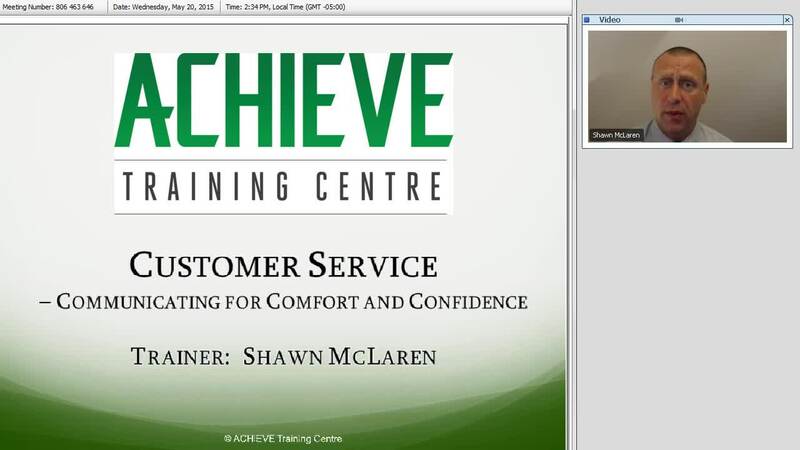 As a leader, Shawn believes that a cohesive team is critical to the success of any operation. He is an energetic and engaging facilitator who ensures that his participants can apply the content being delivered to their own unique environments. Without attention to customer service, organizations of all types will inevitably struggle to thrive. Alternatively, when organizations focus on fostering positive relationships with clients and customers, they create loyalty. This webinar reviews essential communication skills required for great customer service, and explores how communication styles can be adapted to meet the needs of internal and external clients. Interested in watching the companion webinar?